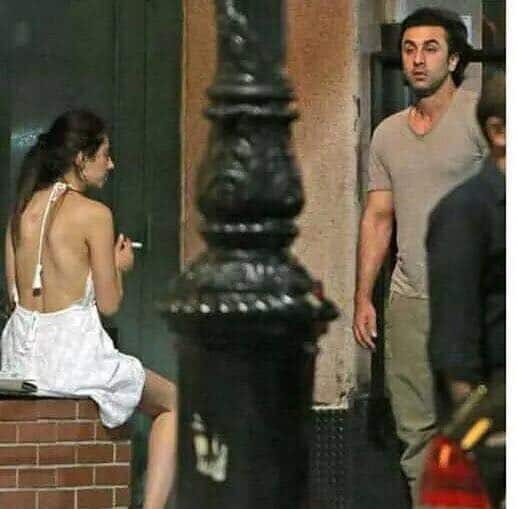 Mahira Khan and Ranbir Kapoor were in the news once before too when they met at a ceremony. Many people said a lot of things about these two being together but it sounded nothing more than a baseless rumor at that time. Once again Ranbir praised Mahira Khan for her beauty in an interview that had nothing to do with Mahira. 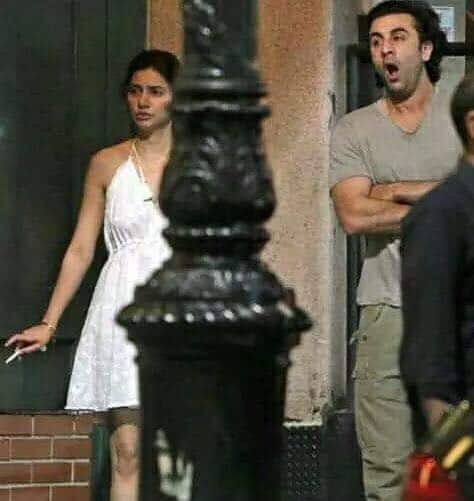 This time around these leaked pictures of Mahira Khan and Ranbir Kapoor show the two actors having a smoke somewhere in the city of New York! Looks like these two really are dating!! We are waiting to hear how Mawra Hocane feels about that.